Twenty states sued the federal government on Monday to end the Affordable Care Act, claiming the repeal of the individual mandate's tax penalty rendered the law unconstitutional. The U.S. Supreme Court upheld the ACA in 2012, determining President Barack Obama's healthcare reform law was a tax penalty. But the tax cuts signed by President Donald Trump in December zeroed out the penalty, and the rest of the ACA can't stand as law without it, according to the states. "Once the heart of the ACA—the individual mandate—is declared unconstitutional, the remainder of the ACA must also fall," the states wrote in the complaint, filed in federal court in Fort Worth, Texas. 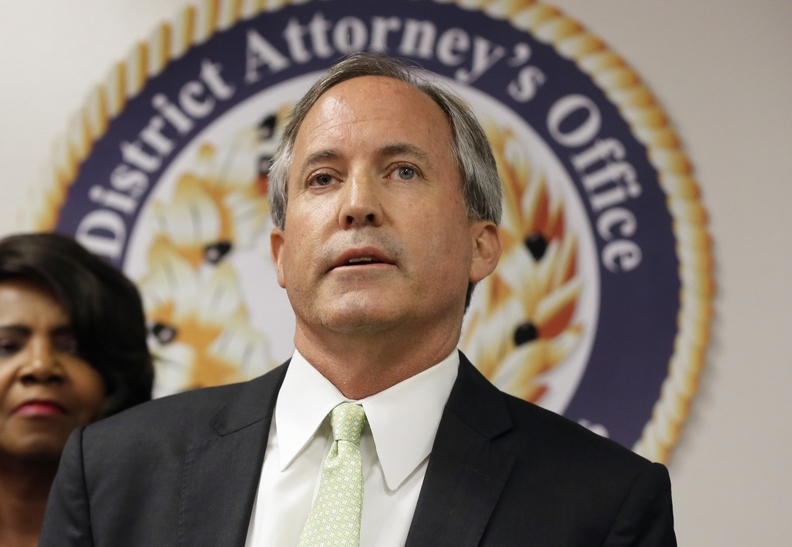 The case from a group of Republican-governed states is led by Texas Attorney General Ken Paxton and Wisconsin Attorney General Brad Schimel, who slammed the law as an "unconstitutional and irrational regime" forced on the states that undermined their sovereignty. Health insurance is regulated by the states, but the ACA required states to create or adopt exchanges where individuals could purchase plans. The law also imposed certain requirements on plans, including covering pre-existing conditions. Since Trump signed the tax cut law, some states have taken action to stabilize their individual markets. In January, Wisconsin Republican Gov. Scott Walker urged the state Legislature to pass a reinsurance program that would help minimize rate increases for residents. Idaho GOP Governor Butch Otter has issued an executive order that would allow insurers to sell plans that don't comply with the ACA, as long as they also have compliant plans for sale in the state. The attorneys general also noted that insurers have left the individual markets in several states citing the ACA, leaving many with only one plan available for health coverage. The complaint also alleged states were harmed because residents could meet the individual mandate by signing up for Medicaid or the Children's Health Insurance Program, and many eligible individuals may not have requested coverage without the ACA. "What remains then is the individual mandate, without any accompanying exercise of Congress' taxing power, which the Supreme Court already held that Congress has no authority to enact," according to the complaint. "Not only is the individual mandate now unlawful, but this core provision is not severable from the rest of the ACA—as four justices of the Supreme Court already concluded."